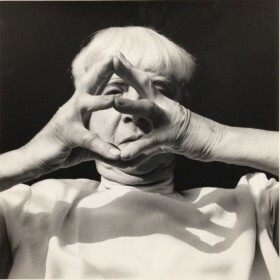 Hannah Höch (1889–1978) is the most important female artist of the Modernist period in Germany. Her work centres around the dadaistic principle of photomontage which she developed, together with Raoul Hausmann, in the early years of the 20th century. Without subscribing to a canon of form as a fixed program, she opened up new and unnerving worlds of images through the manifold combination of contradictory sequences, formed of cutouts from magazines, brochures and photographs. Her criticism of the political situation and gender roles is subtly cloaked in hallucinatory plant representations and grotesque scenes of absurd hybrid beings. Until 31.1.2010, Künstlerbuch in Kinderwelt, an exhibition in the Studienzentrum of Bremen's Weserburg is presenting an overview of children's books designed by artists, amongst them our Bilderbuch by Hannah Höch.